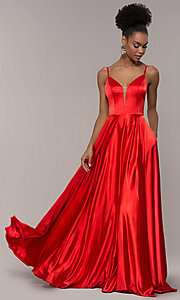 Be sleek in satin wearing this long prom dress with an open back. The long formal dress features multiple straps that form a trendy caged-back detail. The straps connect to the bodice front above the deep v-neckline, as a mesh inset offers sheer coverage and subtle support. Satin-lined, the long satin full skirt flows with an airy fit to a formal floor length, and side pockets make this long prom dress even more desirable. 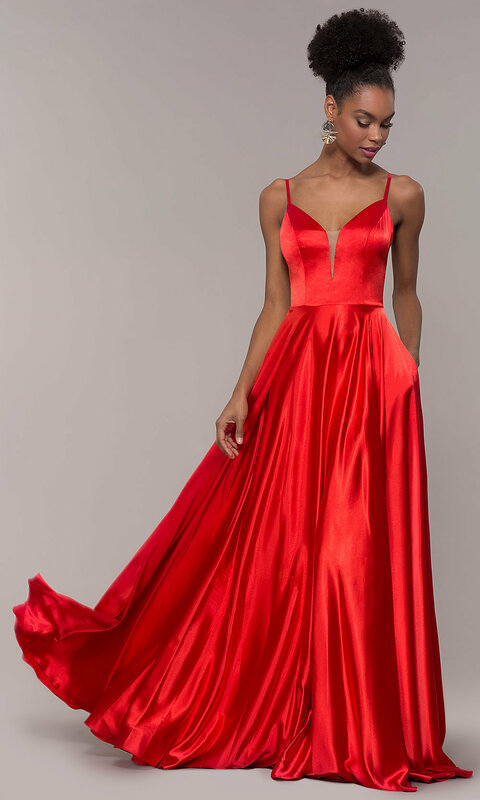 Twirl into prom 2019, gala, or other formal event wearing this caged-back satin prom dress.